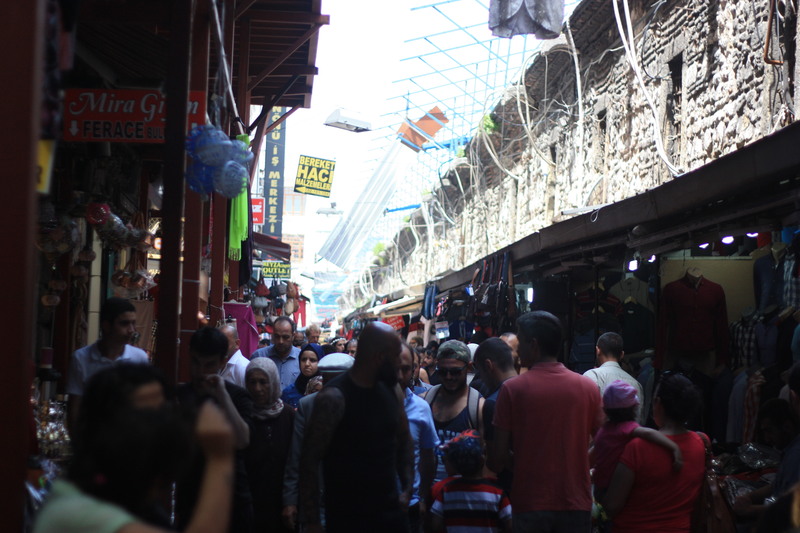 Istanbul has been manic – wonder the old narrow alleys of the old town and you have to dodge the men delivering whole trays of tulip-shaped glasses of cay to the half-dozen men who seem to loiter in front of every other shop. 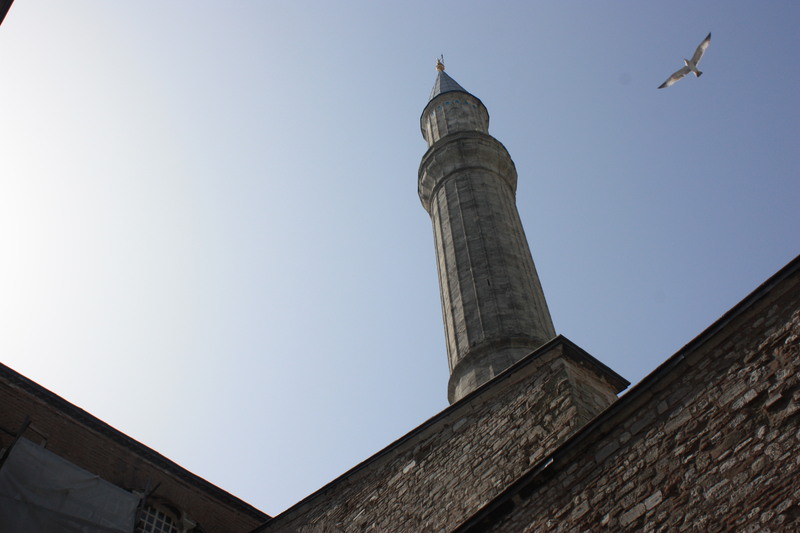 Meanwhile the city’s soundtrack is the endless horns of the insane city traffic mixed with the competing Imams’ call to prayer – a slightly different take on it comes from each minaret. Between the embassy visits, the sights, and the other errands that had me walking over this city, I took any opportunity to sit myself down on those tiny plastic chairs that had me reminiscent of the Beer Hoi bars of Hanoi and try out the tasty cheap local eats. I haven’t gone anywhere in this city without eating something new – “recovery and stocking up for the road ahead” is the excuse. – as if I need one –and no trip to a certain part of town was made without a little research for what vendors to look out for. 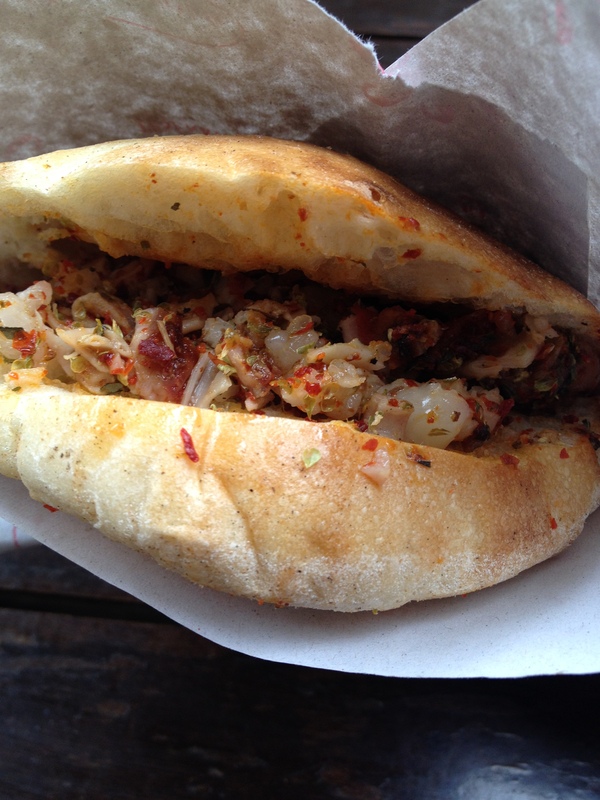 ‘Wet Burgers’ at Taksim square; fried mackerel sandwiches by the Golden Horn; and then there was the Kokoreç I found dotted around the old town and have eaten at least once a day since. It’s basically seasoned lamb’s hearts, lungs, or kidneys, wrapped in intestine in which it is roasted, chopped up with peppers and onion, and stuffed into a sandwich. It’s utter bliss and is not unlike something you’d eat on Burns Night. It probably doesn’t sound as good on paper. But if you’re in this part of the world – I implore you to try it out. My plan for the rest of Turkey has changed slightly; rather than following the Black Sea Coast, I’m taking a rather long and mountainous detour inland to Cappadocia. With the map out in front of me it looks like it will be a good ride. But, in contrast to Kokoreç , most journeys sound better on paper. All received and thanks for the encouragement! I’ll certainly pop down when I’m back in Blighty. An extraordinary report. 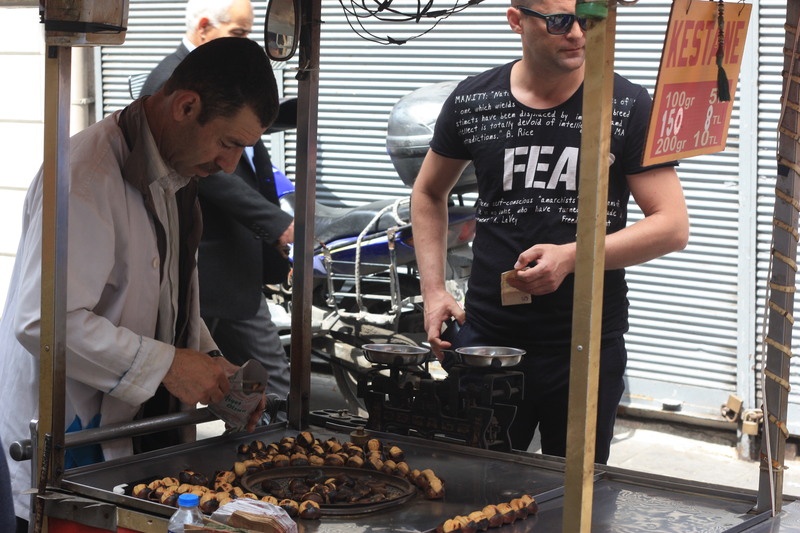 I’m now rather hungry reading the delights of Istanbul’s street vendors. Going north sounds wise. Only trouble waits on Turkey’s southern border. Stay safe. Keep those tyres inflated! Very best from all in Twyford.